Yesterday was a continuation of the torrid weather of late, today is grey and overcast with episodes of light drizzle and with heavier rain anticipated. In the afternoon I had one of my currently-rare outdoor `jollies`, visiting the Yspitty area of Bynea, right on the very south-eastern corner of Carmarthenshire, the object being to find a route to an area of extensive brownfield/saltmarsh habitat that cannot now be accessed from the west (as I used to) due to high security fencing and other reasons. 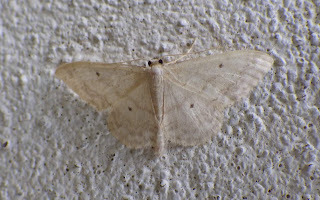 Obviously, I was also `on the look out` for diurnal moths. 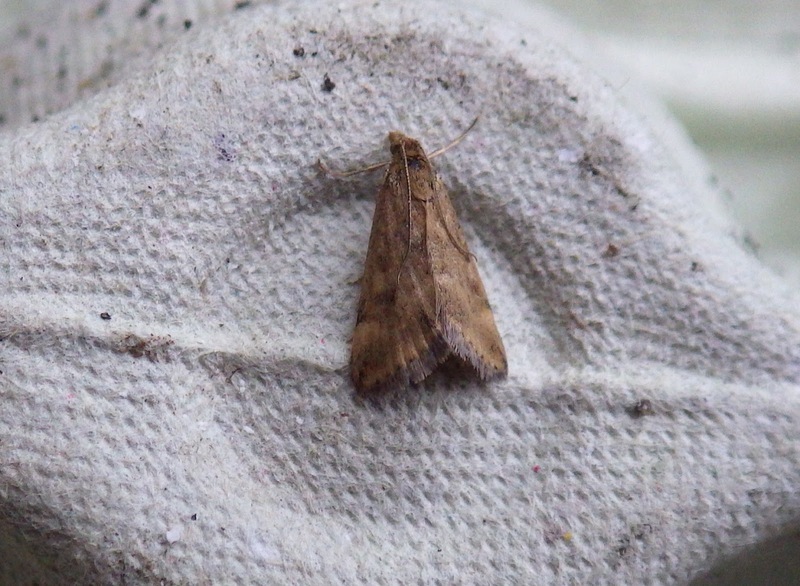 In the event, only a half-dozen common species of moth were found with the absolutely tinder-dry savanna-like landscape perhaps a contributory factor, but at least I have found another good site to overnight trap at some future date. Looking eastwards, tall billowing clouds of smoke could be seen - I later found out that Garngoch common was ablaze. It may suit the pyralid Pyla fusca! Above: showing how sun-scorched the vegetation is. The path hereabouts holds much wild clematis, dogwood and field maple - plants with `moth potential`. The houses in the background (click on pic to enlarge) are actually in Glamorgan - I`d better not wander into Barry Stewart`s territory! Above: looking up river - saltmarsh and to the mid/upper left some brownfield habitat. Above: the edge of the old, species-rich slag deposits (including copper and iron slags) and the upper saltmarsh. Six-spot burnets and silver ys were nectaring on the sea lavender and many of the common Bactra lancealana were flushed nearby. 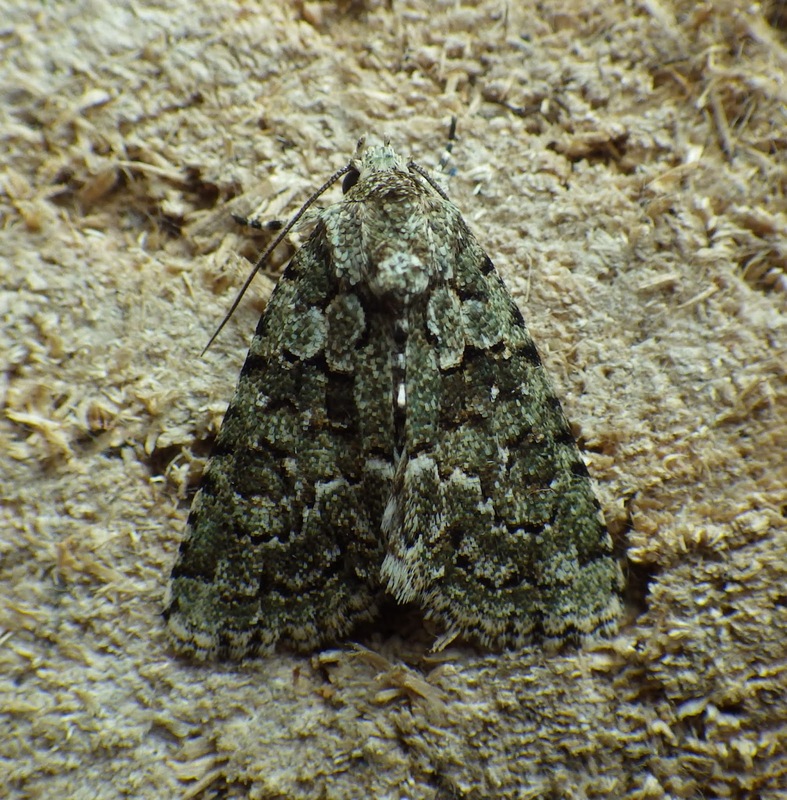 Back home, I put my garden traps out on 26/7 and, whilst there was nothing particularly exciting, there was actually a fair mix of moths with (relative) highlights including two sturdy female oak eggars, marbled green, magpie moth and Pyrausta despicata. 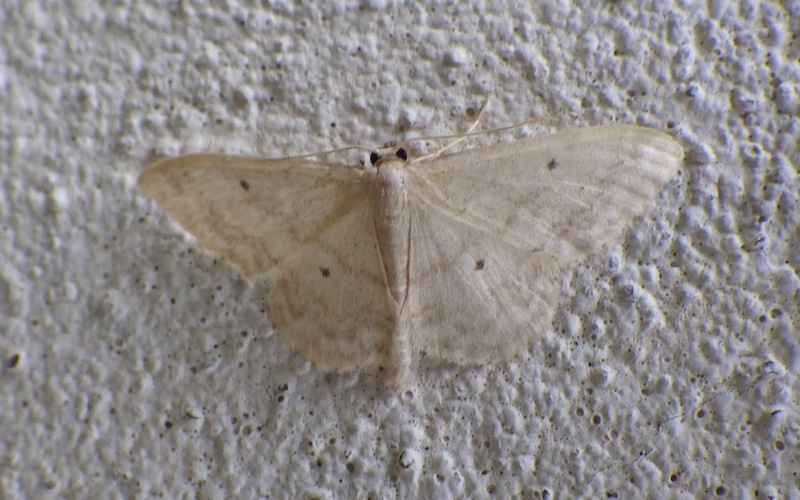 Above: I believe that this may be a lesser cream wave - note strong dots on fore and hind-wings. Postscript: actually just a small fan-footed wave (see comments). Above: Pyrausta despicta. It feeds on plantains. I may trap tonight, given the SW/S/SE winds, but heavy showers are predicted - we`ll see. 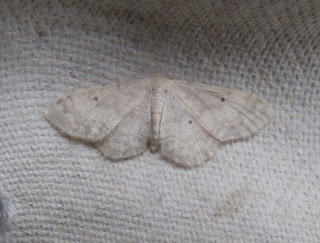 I'm afraid that's a Small Fan-footed Wave - too much grey scalloping in the outer part of the wings for Lesser Cream (and presumably rather small too). Sam...I was literally - this moment - re-checking that moth, having found another on my shed wall (as I put the trap out). My doubts were raised by the fore-wing-shape too - too elongate.I`d returned to the blog to change the text when I saw your comment. I`ll now change the text...and add my new photo too.